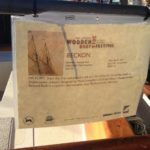 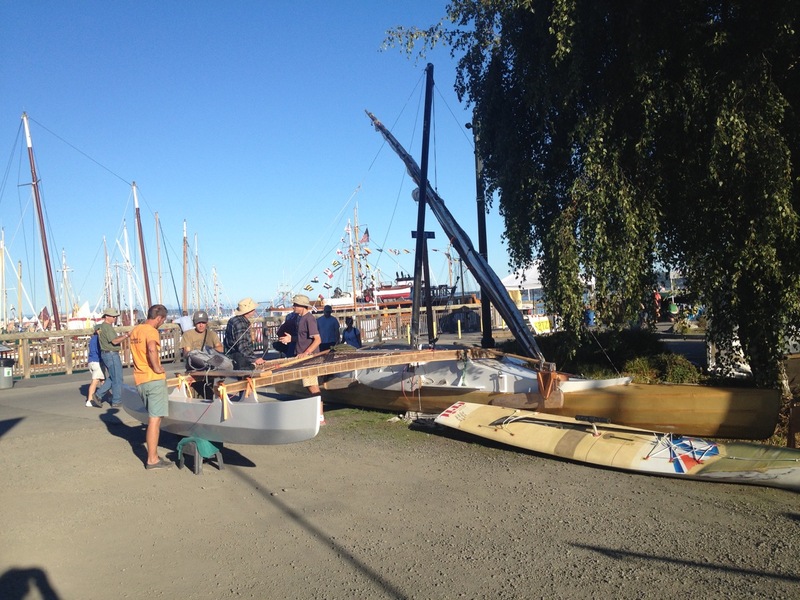 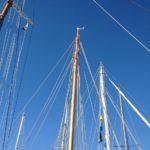 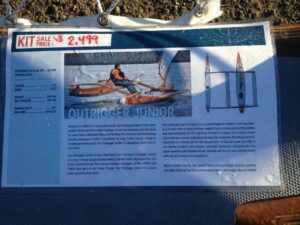 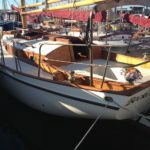 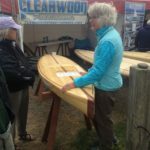 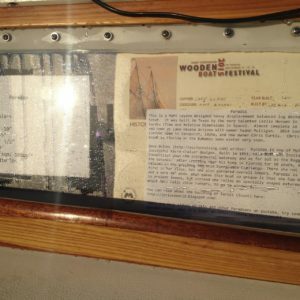 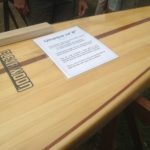 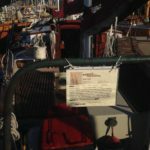 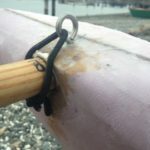 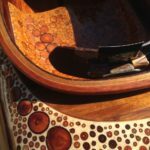 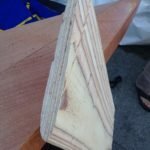 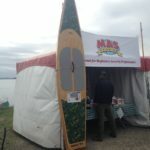 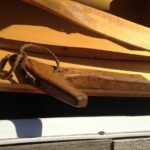 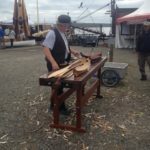 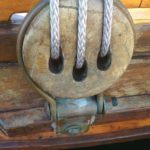 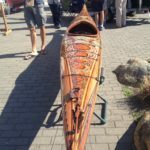 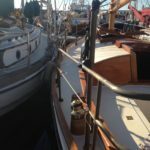 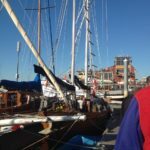 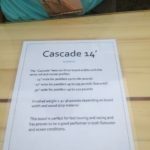 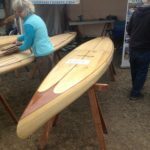 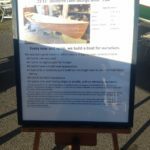 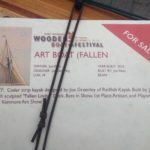 Last fall I finally attended my first Wooden Boat Festival in Port Townsend (WA). 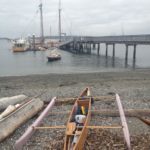 It was a real treat to be there — in part because it was a chance to finally talk leisurely to some of the other mariners that participated in the 2015 Race to Alaska (aka R2AK), and in part because there were lots of inspiring ideas for small boat sailors, builders, and designers. 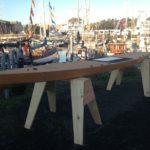 I particularly enjoyed meeting Dillon Majoros and pondering the genius ideas he put into his proa. 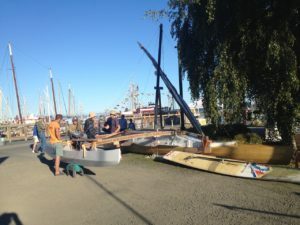 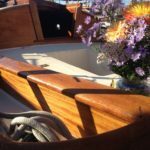 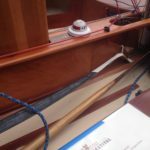 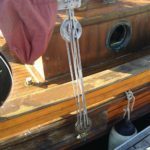 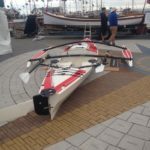 It was a pleasure to spend more time with Quill of Team Barefoot Wooden Boats, as well as the Boatyard Boys, Thomas, Matt, and more. 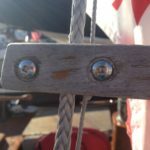 Below are a bunch of photos I took there with captions that explain where I found inspiration. 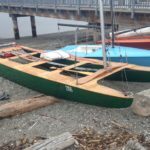 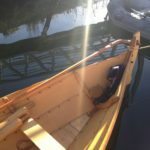 Colin Angus’s Rowcruiser w/o rig. 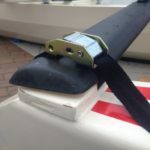 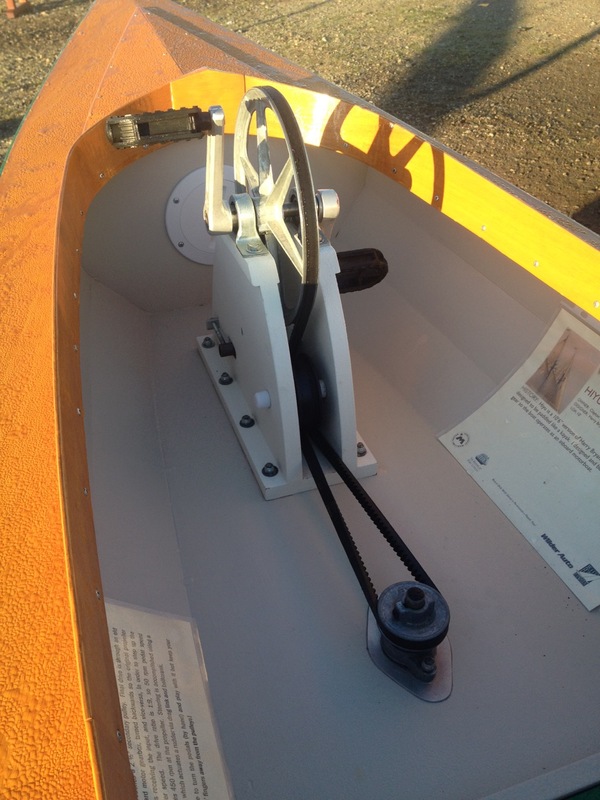 Rowing station and steering setup. 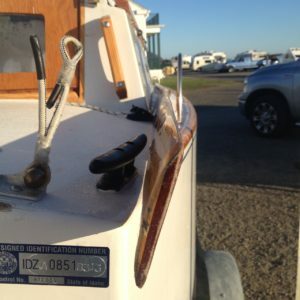 Cabin hatch secured with 4 straps, but needs a lanyard? 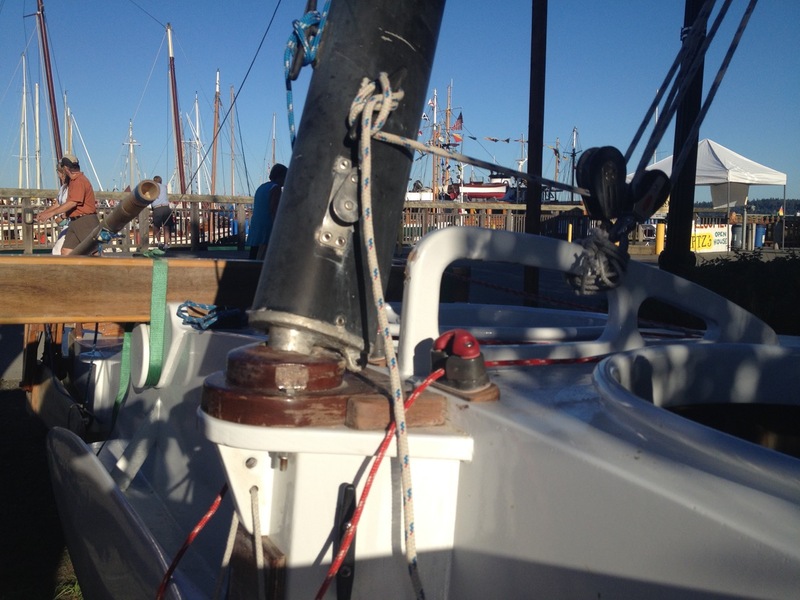 SS cargo strap holds beam end on the ama. Fore-aft view of a through-bolt. 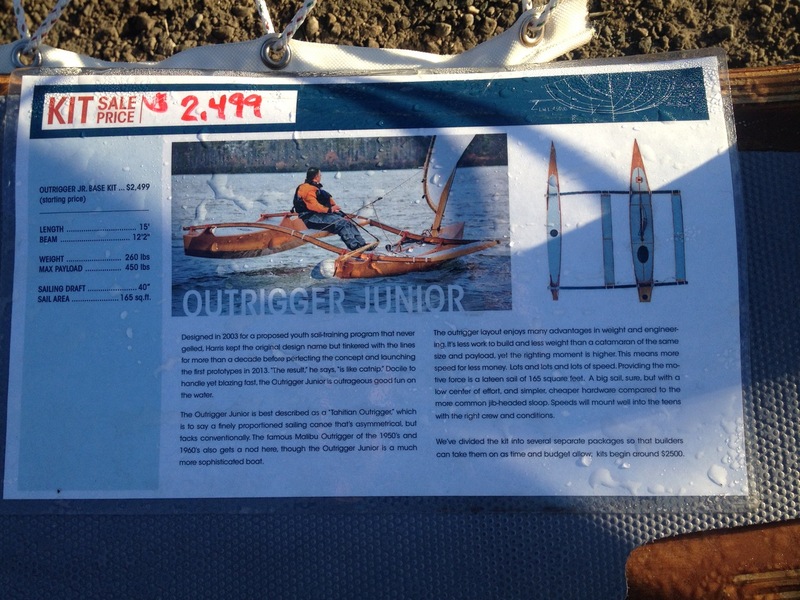 The proa Palindrome on display as an R2AK build. 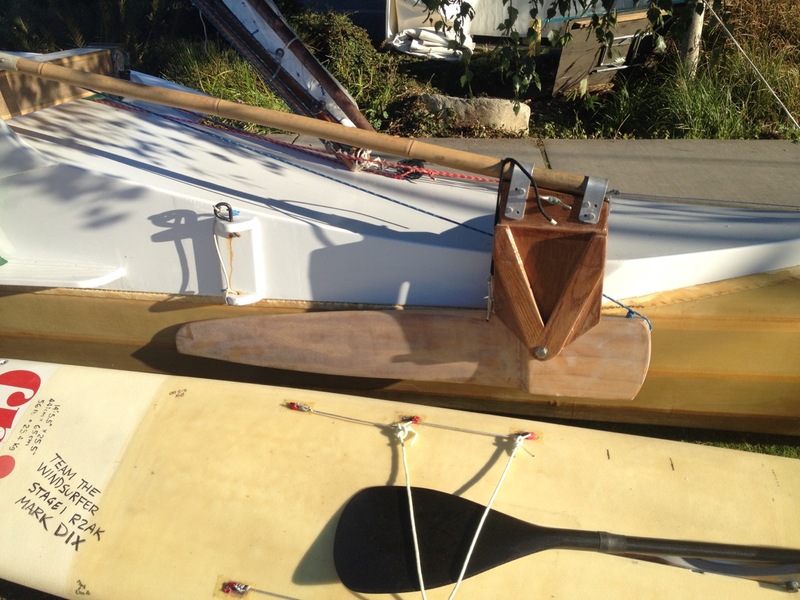 Twin swing-up rudders allow the steering as the proa shunts. 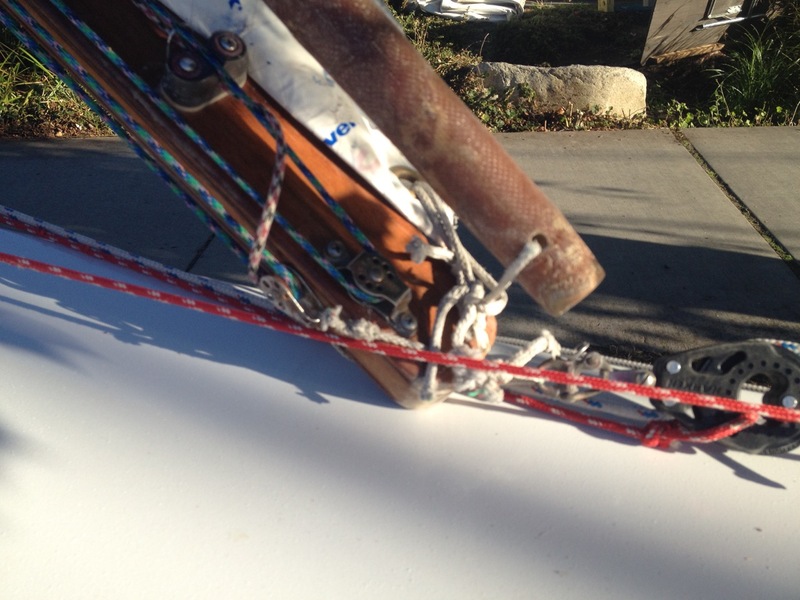 A central board (that can also kick up) provides additional lateral resistance. 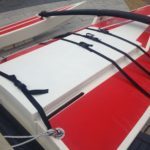 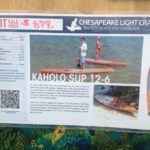 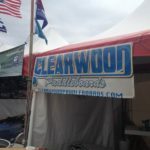 Specs from Dillon: 400 pounds for a 30×12′ craft; 190 sq ft tyvek crab claw sail; $1,500 in materials! 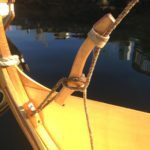 Detail of the crab claw tack. 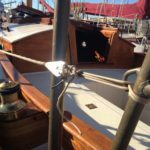 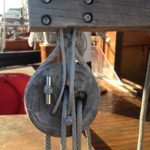 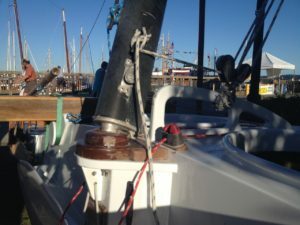 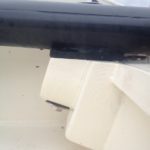 Mast step and control lines. 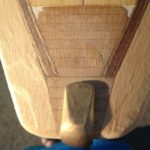 The end of the blade showing the blade cross-section, as well as the bend in the shaft. 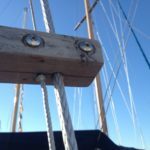 Tack detail. 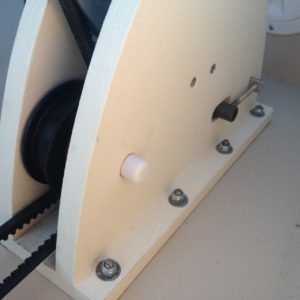 Nice and simple. 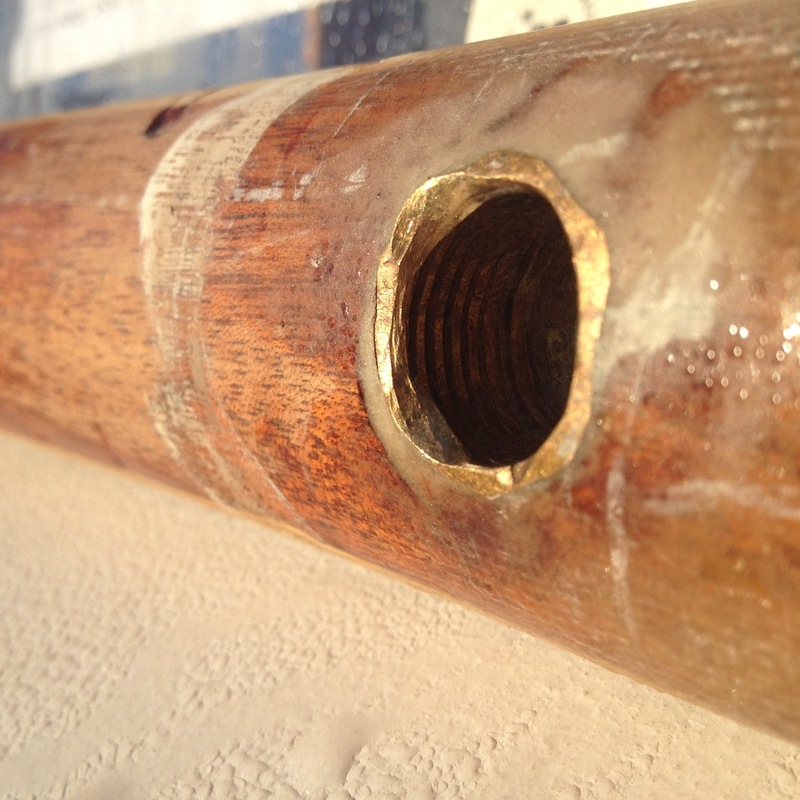 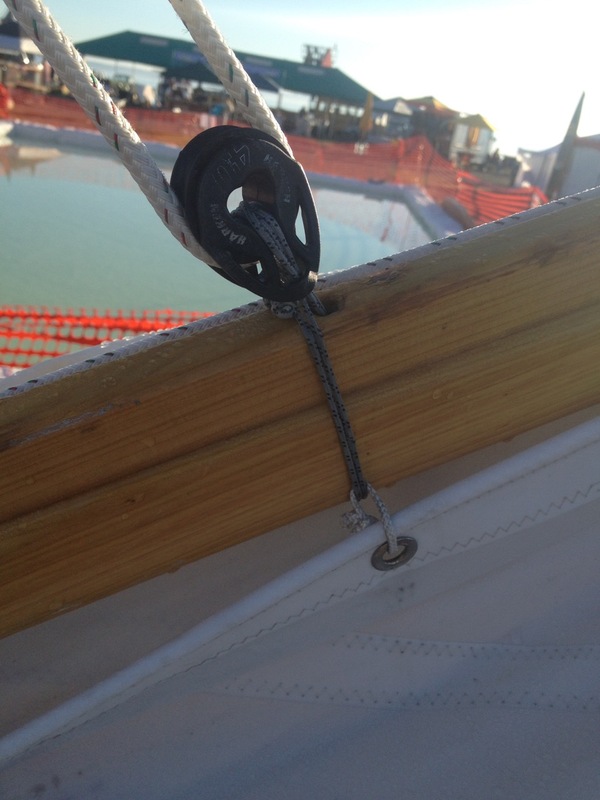 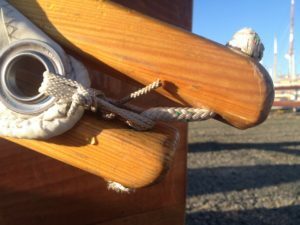 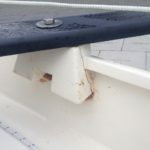 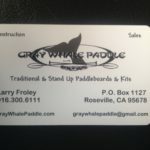 2:1 purchase on the main halyard and doubled, solid-wood upper spar. 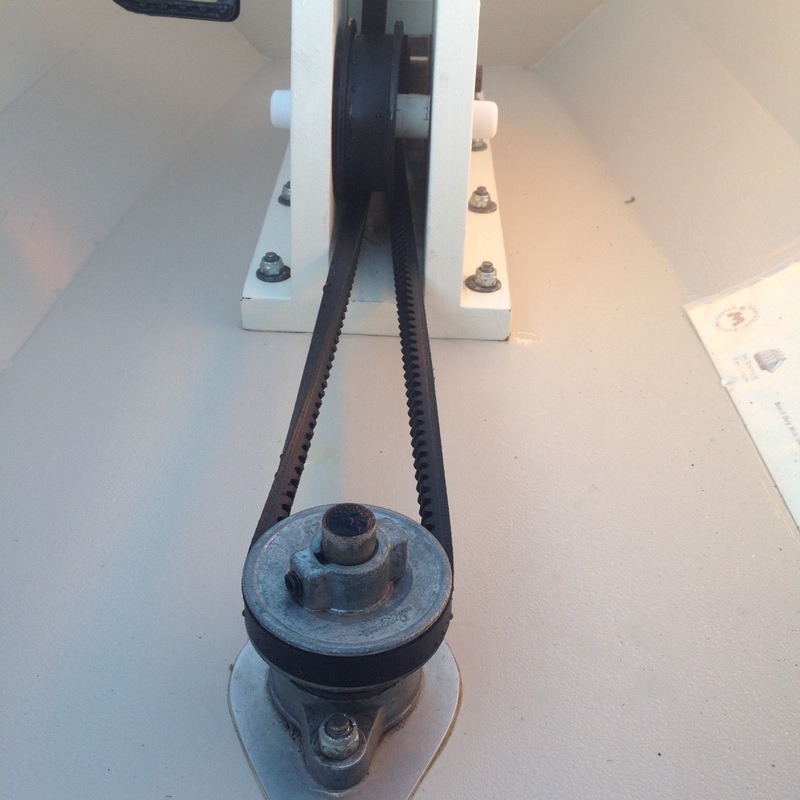 Timing belt drive and pedal mast detail. 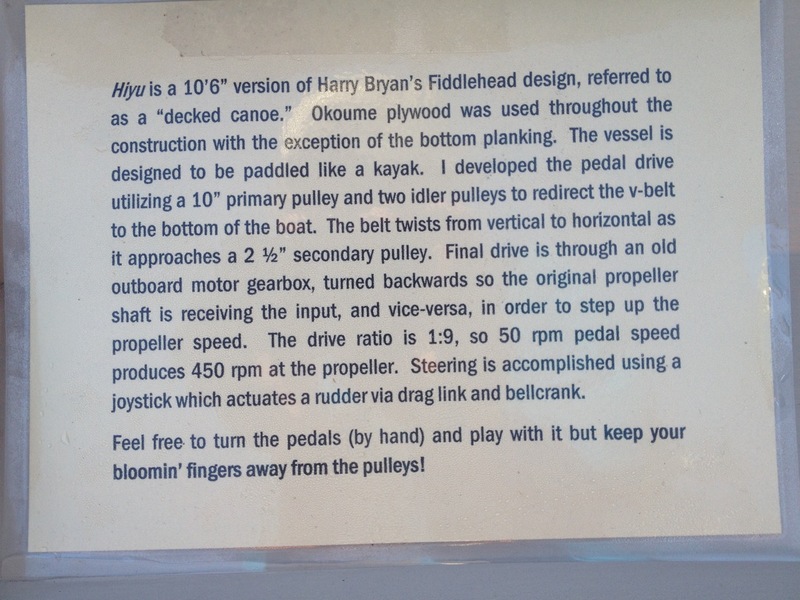 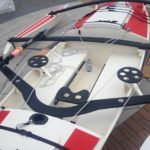 Hiyu has: a 10″ primary pulley and 2 idler pulleys; twisted belt; 2.5″ 2nd pulley; outboard gearbox; 1:9 drive ratio so 50 rpm at pedals yields 450 rpm at propeller.